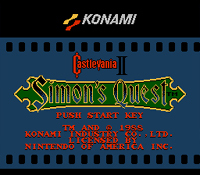 In this single player adventure, once again you'll take on the role of Simon Belmont and fight to the death with Count Dracula. Grab your fabled whip, Vampire Killer, and roam freely along Transylvania on a pursuit to find the count's absent body parts-these are the key to breaking an evil spell. This pursuit won't be easy, though, for you must combat offensive monsters who haunt the land. 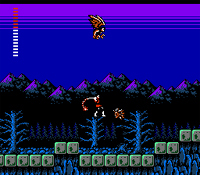 In add-on to the acute activity and close control the Castlevania series is best-known for, this sequel also introduced different unequaled gameplay atmospheric conditions into the fold. Build experience the longer you play, buy arms and items from vendors, or chat with denizens to get hints (some of which are false). Watch day change state to nighttime and then back again. Take a deep breath, firm your nerves, and help Simon end his spell and get the better of the count forever. What a night for a curse!